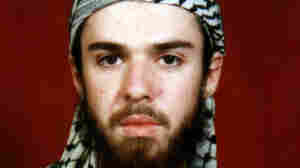 August 31, 2012  John Walker Lindh's lawsuit says a prison ban on group prayer violates his right to practice his religion freely. But the government argues that group prayer would allow the prisoners to undermine safety and plot together. August 31, 2012  The Pentagon has alerted the Navy SEAL who wrote a book on the Osama bin Laden raid that he violated agreements not to reveal military secrets. The book describes in detail the raid that killed bin Laden. But the book's publisher and the author, writing under the pseudonym Mark Owen, did not seek Pentagon review as required. August 31, 2012  Officials at the Justice Department have closed an investigation into the deaths of two detainees in American custody in Iraq and Afghanistan without bringing any criminal charges. The probe opened a huge rift with the intelligence community. But now it's human rights groups that are outraged. August 30, 2012  Matt Bissonnette wrote No Easy Day under the pseudonym Mark Owen. 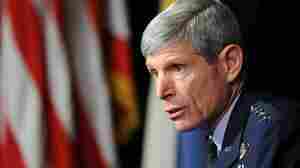 He has drawn criticism for publishing details of the Osama bin Laden mission without Pentagon approval. Peter Bergen, author of Manhunt, says this account of the raid fits almost exactly with his understanding of the operation. 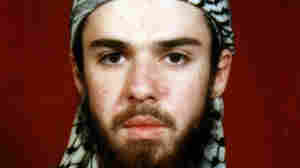 August 27, 2012  John Walker Lindh was a middle-class kid in Northern California who converted to Islam, traveled the world, and was captured by U.S. authorities in Afghanistan after Sept. 11, allegedly fighting alongside the Taliban. Now, he's suing the government over religious rights at a secret prison facility. August 26, 2012  The nature of war has changed, and so has the president's purview. 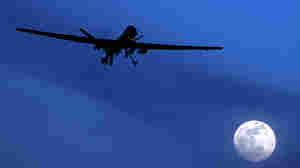 The country increasingly relies on elite special forces, rather than armies, and drone technology to target its enemies. How those operations are authorized has also shifted — it's more covert and less defined. August 24, 2012  Thousands of U.S. troops who served in Iraq and Afghanistan have suffered traumatic brain injuries. Now the military is trying to determine how many soldiers suffer concussions in exercises like hand-to-hand combat training before they ever reach a war zone. August 23, 2012  The top U.S. commander in Afghanistan cites multiple reasons for the increase in attacks by men in Afghan uniforms. 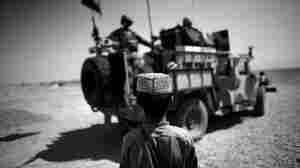 Taliban infiltrators, friction between NATO and Afghan troops, and even Ramadan are all seen as factors. August 23, 2012  A member of the team that attacked bin Laden's compound in Pakistan last year has written a book about the raid. The book is being published under a pseudonym. But already there are questions about whether the author violated Pentagon rules by failing to run the book by the military first. August 15, 2012  At issue is the fate of Army Sgt. Bowe Bergdahl, the only known U.S. prisoner of war held captive in Afghanistan. The Taliban may be keen to trade him for some of its leaders held at Guantanamo Bay. August 14, 2012  Army Reserve officer Tammy Smith was promoted to the position of Brigadier General last Friday. In doing so, she became the first gay general to serve openly in the U.S. military. Gen. Smith talks with NPR's Lynn Neary about her career in the military and the significance of her recent promotion. August 10, 2012  A common cybercriminal tactic appears to have been adopted by a nation-state for classic espionage purposes. The Kaspersky Lab in Moscow says the Gauss virus is targeting several large banks in Lebanon. Though the nation-state behind the virus hasn't been identified, analysts say it may be part of a U.S. effort. August 10, 2012  The U.S. Air Force's top officer, Gen. Norton Schwartz, is retiring after four years on the job. Schwartz was a champion of remotely piloted aircraft, or drones. But he says the Air Force will continue to need pilots for decades and more manned aircraft to ensure it can prevail with a minimum use of force.